Situated 10 miles off the North Devon coast and lying across the entrance to the Bristol Channel, Lundy rivals Fair Isle and the Isles of Scilly as one of the places to watch spring and autumn migrants in Britain. Famed for its Puffins, which breed there in small numbers, Lundy is a magnet for migrating birds and birdwatchers alike, as well as one of the most important seabird islands in English waters. In addition to British and continental breeding migrants like swallows, martins, warblers, thrushes and finches, vagrants from North America and Siberia occur on the island from time to time, providing that extra bit of magic that makes Lundy so special. This book presents a detailed account of the 317 species on the Lundy list up to August 2007, along with notes on a further 36 species. Each text includes the species’ status, pattern of occurrence, historical records and unique anecdotal insights, as well as an analysis of ringing movements. Background chapters paint a portrait of the island, describing its human habitation and use, habitats, native flora and fauna, feral grazing animals, bird conservation, ringing, birds through the seasons, and some suggestions on how to make the best use of birdwatching time on the island, including four suggested ‘bird walks’. 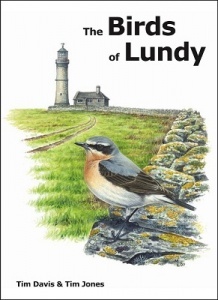 319 pages, colour map of Lundy and 20 colour photographs.